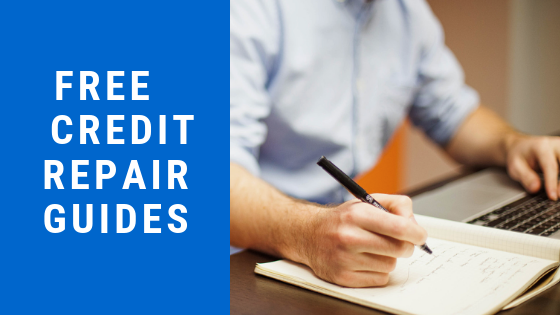 Use These Free Credit Repair Guides to Restore Your Credit! We know that not everyone has the time to become an expert when it comes to finance and credit repair. You need to know the important stuff RIGHT NOW! Take a look at some of the valuable credit repair guides we have created below. Each one will teach you a specific skill set that you can use immediately to improve your credit score or overall financial standing. If you have any questions, just drop us an e-mail and we'll do our best to help you out! In this guide, we cover everything you need to know to repair your credit in 4 easy steps. You'll learn how to obtain your credit reports, handle disputes, and your legal rights. This should be your starting point if you plan on going through the restoration process on your own. Your FICO score is the single most used number to determine your credit-worthiness when you're applying for a car or home loan. This guide aims to teach you how to increase your score to obtain the best interest rates possible! We have all heard the phrase that "No One Is Perfect." This is VERY true when talking about the three major credit bureaus. This informative guide shows you common errors that may appear on your reports and how you can dispute them right away. Let's face it, credit repair is just ONE part of the overall financial picture. This guide aims to give you a first-look into the world of budgeting, financial planning, and investing. Take a look and take the first step towards financial success!